It’s true what they say, our pets really are like our family. So when those special occasions roll around or your four-legged friend simply needs some pampering, you turn to a pet boutique. The good news here is that Michigan is home to plenty of top-notch pet boutiques looking to give your pup or kitty some TLC. Here are the 10 best in the state. Birmingham's Teacups & Toys focuses on doggy fashion in the grandest style. Whether it's alpaca sweaters or a “triple threat hand-smocked dress,” Teacups & Toys will supply the lot in an undeniably big way. Of course, it doesn't just stop at clothes; it boasts faux fur beds, travel carriers, crate drapes, collars, leads, and an array of toys to match anything that Toys 'r' Us could boast. Ann Arbor's Pet Emporium makes its focus on both fun and healthy options. Want a Thundershirt to calm that pet in storms or when fireworks are involved? Salmon oil for fatty acids? Top-notch cat litter? An array of toys so massive and downright thorough that it's almost scary? The Pet Emporium will pack in the options and give you so much to choose from that your pet might even get tired of all the new stuff. The Barking Boutique in Grandville has been faced with its share of controversy thanks to its approach of offering animals for sale with a particular focus on purebreds or hypoallergenic animals from certified breeders. Yet its owner makes it clear that it's out to do this job the right way, and is out to prove it can be done. 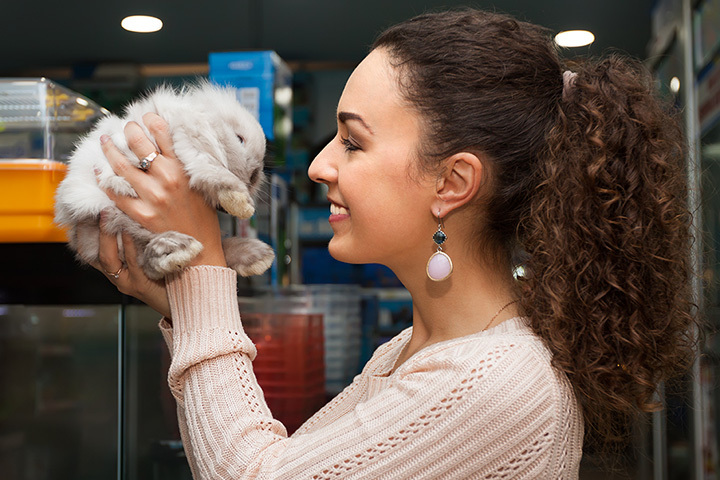 Featuring included pet insurance, microchipping, and multiple veterinary examinations, those looking to get started with a new pet might do well to have a look here. Grand Haven's Must Love Dogs Boutique and Spa combines both the in-house pampering and the after-experience pampering as well to make a dog's day about as complete as it can be. Featuring a complete line of take-home goodies from baked treats to toys and collars, and a complete dog grooming facility with a self-service option if you'd rather not get your own bathroom dirty cleaning the pooch, you'll find everything you need at Must Love Dogs! Kelly's Pet Boutique in East Lansing doesn't focus on selling goods for our animal friends, but rather focuses on grooming services in both dog and cat flavors. Whether it's treatments that wouldn't be out of place in a human spa like aromatherapy masks, pet facials and hair dye, or odder strokes like various haircuts—lion, dinosaur and “Asian fusion” are all on tap—to even Soft Claws nail cups, you'll find it right here at Kelly's. Take your choice of South Haven or Holland to hit up Decadent Dogs, a store that features a wide slate of products all in an environment as friendly as your pooch is. Toys and treats, clothes for both dog and human, a variety of gifts from jewelry to breed-specific keychains, and more are on hand here. Best of all, there are even some originals you'll only find at Decadent Dogs, so for those looking for a unique touch of class for that dog in your life, you'll likely get it here. Freeland's Passion for Paws starts out with a pretty forceful declaration. Right on their website, it says not only “You will not find anything in our shop that we wouldn't give to our fur babies,” but also “Our homemade dog treats are safe and tasty for you, as well as your pets.” This place is actually inviting you to eat their version of Milk-Bone. We don't know about you, but we say that takes some serious guts. It goes beyond that, of course, to offer collar decorations, clothing and food options, and more. Off to Grand Rapids now to check out Fido and Stitch, a store that focuses on making the dog a happy pup. Featuring a focus on natural and healthy products, while not forgetting the fun, Fido and Stitch offers food, apparel, leashes, collars and plenty more. It's planning to bring out a food delivery service in the near-term, and even offers a complete dog salon, offering a range of services—bath and brush out services come in various degrees from “basic” to “heavy neaten”—to make your dog look his or her best. Bakers Animal Boutique in West Branch focuses on the full-service route. While it's got plenty of dog related offerings—of particular note is the odor-neutralizing Pet Odor candles—it's also got one big claim to fame in its Canine 4-H Club, a general dog instructional class that offers insight on keeping dogs healthy and happy, as well as safety and obedience training. Thus, no matter how you want to improve your dog, you'll find it waiting for you here. Dogs and cats alike can swing by Plymouth's Celebrity Pets Co. to check out what they've got to offer. And they've got plenty to offer, that's for sure; whether it's toys, treats—Stella and Chewy's Raw Blend kibble is a recent addition—or something altogether unique like “no-hide bones,” Celebrity Pets Co. has it waiting and ready.